February 14this celebrated by many as the day of love. Originally ascribed to a feast for the patron Saint Valentine, a Catholic Priest, the 14this a day often set-aside for expressing our love for one another. The details of Saint Valentine’s life are sometimes contested, but scholars seem to agree that in the late third century Valentine was martyred over the subject of love. In the midst of Valentine’s trial and martyrdom, he may well have been thinking of Jesus’ words, who as He prepared to depart this earth told His closest friends, “Greater love has no one than this: to lay down his life for his friends” John 15:13 (NIV). As a warrior I have ruminated on these words and felt their weight heavily upon my shoulders as I have landed in hot LZs, listening to the plink-plink-plink of incoming rounds striking my aircraft while delivering supplies and flying out wounded teammates in contact. I have been reminded of Jesus’ words while speaking at the memorials of friends—warriors who gave their life so that others may live. I have spoken these words to many as I try to explain the strong familial bond built through shared adversity and fear in the chaos of war. Jesus’ well‑known words provide a strong pillar for the warrior ethos and ring true with all those who have lost swim buddies, wingmen, battle buddies, and teammates seemingly much too soon. So why did Jesus speak those words to His friends that night? Because, in a few short hours God was going to perform the most loving act the world would ever experience. God is a God of love. It’s essential to His nature. It comprises the very core of who He is—and He loved you and I so much that He was going to lay down His life, not just for His friends, but for His enemies too! The apostle John writes, “For God so loved the world, that He gave his only Son, that whoever believes in Him should not perish but have eternal life. For God did not send his Son into the world to condemn the world, but in order that the world might be saved through Him” (John 3:16-17). Because of love, God sent His son to save the world from an eternity of separation and darkness, immense pain and suffering. Jesus once told the Pharisees in Luke 6:34–35 (NLT), “Love your enemies! Do good to them. Lend to them without expecting to be repaid.” This advice, to love those who may not love you back, the thankless haters of the world, may sound crazy, but that is exactly what God did in sending Jesus to save you and me. The apostle Paul reminds us, “God shows His love for us in that while we were still sinners, Christ died for us” (Romans 5:8). While we were still enemies of God, He chose to sacrifice the only thing perfect enough to atone for our wickedness and failings; His only begotten son Jesus. That is true love. The only way to get more love is to give more love. The only way to get more Jesus is to love sacrificially like Jesus. 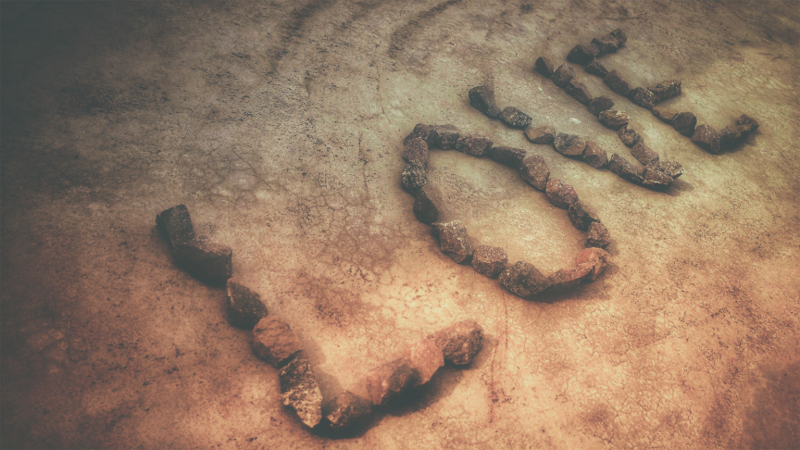 Jesus encouraged His followers to change the world—not through hate, violence, or force, but through love. Join the revolution! Choose to love your neighbor as yourself (Mark 12:31) because Jesus died for them too. Love, especially loving those who do not love us back, is the only fitting sacrifice you and I could ever make in return for God’s gracious love for us.